2013 C.W. Lai, R.T. Chen*, T.C. Lin & C.C. Kang*, "Efficiency improvement of a diffusive solar cell window by optimizing the diffusion plate design with optical simulation", pp. 463-465, International Conference on Innovation, Communication and Engineering, Qingdao, Shandong, P.R. China on October 26 - November 2, 2013. 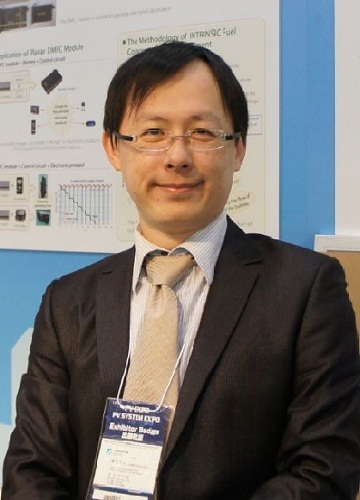 2013 Jyun-Fu Shih, Ruei-Tang Chen*, "Electrolyte PH of the dye-sensitized solar cell efficiency effect", PC-19, INTERNATIONAL SYMPOSIUM ON NANO SCIENCE AND TECHNOLOGY, Tainan, Taiwan, 15-16 November 2013. 學校地址 : 71005 臺南市永康區南台街 1 號(Q棟202) Address:No. 1, Nan-Tai Street, Yungkang Dist., Tainan City 710, Taiwan R.O.C.